*Originally Published on Ingrid Timm’s domain by Ingrid Timm. Closed captioning is a wonderful feature YouTube offers that allows the viewer to read what is being said in the video. Before captioning a video on YouTube, I didn’t know much about this feature. I more or less assumed that YouTube captioned all videos perfectly and that’s why we have such good cc on many videos. Turns out, if the captioning is done well, most likely someone went in and did it. I had the opportunity to caption a video after St. Norbert held its fifth annual T3 conference. A tech conference focused on transformative teaching practices. Below I will go through the steps it takes to caption your video in the different ways that YouTube allows. 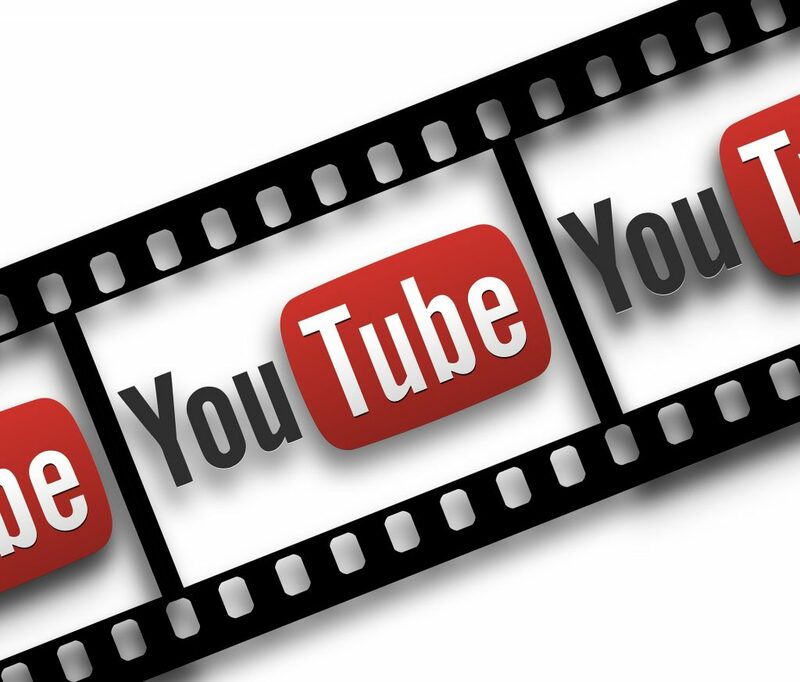 The first and most obvious step is to go into YouTube and make sure you are logged in under the account that has your video. Next hit your icon in the right hand corner of the screen. When the drop down list appears, select “Creator Studio.” This will direct you to all the videos that are on your channel, scroll through and find the video you want to caption. From here you have two options, you can click the down arrow next to the video and select “Subtitles/CC”, this will take you directly to the captioning page. Otherwise you can click “Edit” then look at the top of the page towards the right and select the “Subtitles/CC” heading. Both of these options will take you to the captioning area. To the right hand side of the video there is a blue bar that says “Add new subtitles or CC.” Select this and then select your language. YouTube will then give you three options for captioning. The first option is “Upload a file.” This gives you two choices, either “Transcript” or “Subtitles file.” A transcript would be a text file like Word or Goggle Docs that includes all the talking points put down into written word. The computer will then take the text and give it times within the video. You can adjust the times or edit the text if needed, check the second to last paragraph for more details on adjusting and editing. If all looks good hit the blue “Publish” box in the top right. The second option is for those who have already gone through the process of setting subtitles within YouTube and downloaded them. This is what I did and it is honestly one of the best features. I had spent HOURS transcribing the video and adjusting the times when my computer decided it didn’t want to save. So I went and hit the “Download” button that is always available and it downloaded all the text and times to my computer. I then exited out, went through the process to get to the captioning page again, selected “Upload a file” then “Subtitles file” and dragged my file in and miraculously all my work appeared! All I had to do was hit the blue “Publish” box and I was done. The second option says “Transcribe and auto-sync.” This is a good option if you are running low on time. In this option you type what is said in the video and the computer sets the timing of the sentences. Some features that are available in this option are located on the right side of the typing box under “Actions.” The features are “Delete draft”, “Upload a file” from your computer that already has the transcript on it or a subtitles file or “Download” the text you have already typed in the text box to your computer if you need to exit the program for whatever reason. Once you have finished typing the sentences into the text box, you then click the blue box below that says “Set timings.” This will save your transcript to your drafts. From there, click “English (setting timings)” under the “MY DRAFTS” section. This will take you to an area where you can watch how YouTube timed your sentences and adjust them if need be. To understand the ins and outs of adjusting the captions, check out the next paragraph. If you feel as though the captions are perfect, then go to the top right corner and hit the blue “Publish” box. The last option is “Create new subtitles or CC.” When you select this, it takes you to the adjusting page. With this option, YouTube inserts the auto-generated captions into your video and has you edit and adjust them. If you want a completely blank slate hit the blue ribbon above the video where it says “Remove auto-generated content.” When I captioned my video I left the text in, this gives you something to work with, which is a lot easier than starting from scratch. To edit the text, or type new, you do so on the left hand side. If you want to add a new text box, you can hit enter or the small plus sign at the bottom right side of the box you want your text to appear after. If no new box appears and the box you are in flashes red, that means there isn’t any time in between boxes to add a new one. In order to make more space for a new box, adjust the times. There are two ways to adjust the times. The first way, and I think easiest, is to use the text boxes under the video. Here you can make them longer or shorter by putting your mouse over the desired box and pulling on one of the blue tabs. The other way is to go over to the left side again and go to the text box you want to change. On the very left part there are times, here you can manually enter times you want here. This captioning option also has an “Actions” box which is located above the text boxes on the right side. The actions you can chose from are “Auto-generate” the captions, “Upload a file” from your computer (either a transcript or previously created and downloaded subtitles) or “Download” the subtitles with times that you have worked so hard on. Once you feel that you have finished the captioning hit the blue “Publish” button. I will leave you with a few things I’ve learned during this process. First off, this is like Google Drive, it is always updating and saving your progress, there is no save button for you to hit. This is great because it means you can take as long as you need to finish the project without worrying about all your hard work disappearing. You can exit out of YouTube and come back to it later to see the captions saved under “MY DRAFTS.” Another great feature is one I have already mentioned, “Download.” This is wonderful if your computer refuses to save the draft (or publish it). All you do is download it, then exit out, re-open and upload it under “Subtitles file.” All your work will reappear! Say you are watching the subtitles after you published them and notice an error. You can simply go back to the subtitles area and select them (they will appear under “PUBLISHED” as the language you typed them in) and then it will take you back to the editing page where you can fix it and re-publish it. All in all, it is a very logically and easy to navigate program. Good luck! This entry was posted in Student Posts, Tech Bar. Bookmark the permalink.